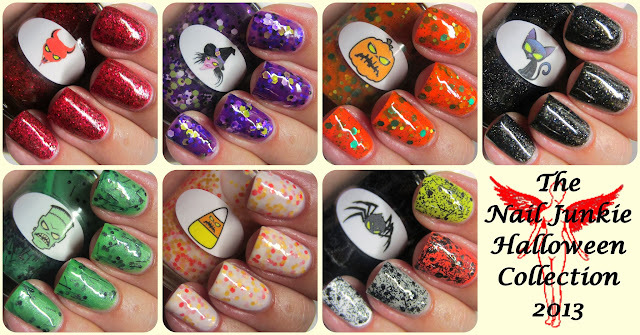 The Nail Junkie: THE NAIL JUNKIE HALLOWEEN COLLECTION GIVEAWAY!!! OPEN INTERNATIONALLY! Thanks for the kind words everyone. And thanks for taking the time to comment. I love reading this stuff! These polishes are so cute, and so unique! I love the entire theme, the characters that the polished represent, and even the graphics! Wonderful, wonderful job. And thank you for the chance to win with the giveaway! I am Totally Excited for this Giveaway! I don't think I have Ever Seen Such Adorable Nail Polishes; I Literally Would Not Want to Use All of the Polish Up b/c it's So Pretty with the Little Sticker on it! I Think My Favorite Polishes aside from this Halloween Collection is the Bright Jelly Polishes & I am Crazy about the Glittery Fall Polish & Poinsettia Polish! Such a Brilliant Idea & Such Vibrant & Unique Colors! I'm a Definitely a Fan Now! I am Truly Excited for this Nail Polish Giveaway! 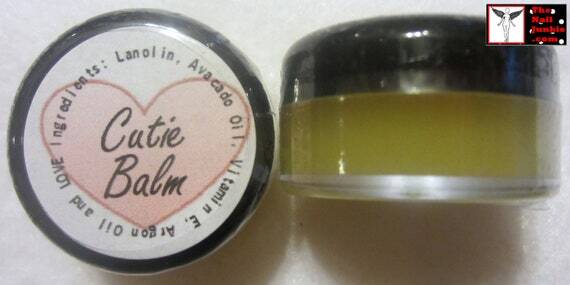 I Love Looking at All Your Polishes on etsy, I have Pinned Almost All of Them! It is So Hard to Pick a Favorite b/c I Really Love Them All, especially the Halloween Collection Here! I am Also a Hug Fan of the Colorful Jelly Polishes b/c I Can't Get Enough of Bright Colors, don't Get Me Wrong I Also Like Pastels! I Just Don't Wear Many Neutrals but if I Do They are Generally Shimmery or Glittery! I Love Glitter Polishes and I am a Huge Fan of Yours b/c They are So Sparkly & Vibrant; I Love All of the Fall Glitter Polishes with Brown, Orange, & Gold Glitter So Pretty! My Favorite Color is Green so the Glittery Grass Nail Lacquer was an Instant Hit! I Think the Nail Polish Bottles are an Adorable Idea & It Gives these Polishes More of a Personal Touch and Sets Them Apart From Others! I Can't Wait for this Giveaway & I am Truly Excited! I Hope To Try Out These Nail Polishes & I Have a Feeling that Whoever Does Win is Going to Love Them and Will Come Back for More! Thanks & Have a Great Day! God Bless! I love your nail polish giveaway,the colors are truly amazing and wonderful!! Such art!! I sahred and follow on all social medias!! I love these nails polishes :) I partecipate.